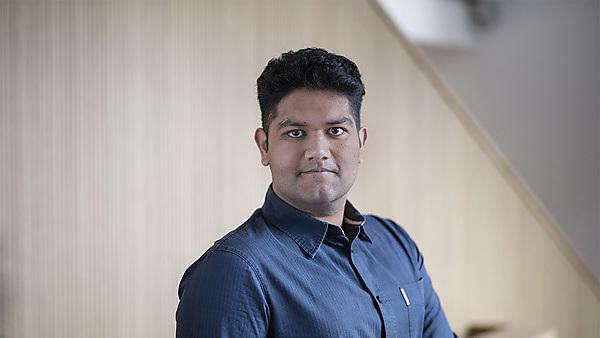 Abishek Kalpathi has always been interested in robotics but discovered Plymouth was one of the few universities who offered both a course in robotics at masters level and one that takes a practical approach alongside theory. Abishek is now a proud Plymouth alumni, after graduating from MSc Robotics Technology. Find out more about Abishek’s experience studying at Plymouth by watching our video. Abishek talks about coming to England from his home in India and how the University helped to create a community of international students feel like family. Be inspired to innovate and develop the robots, artificial intelligence and autonomous systems of tomorrow’s world. Gain advanced theoretical and practical knowledge from our world-leading experts in interactive and intelligent robotics, and graduate ready to pursue an exciting career in anything from home automation to deep sea or space exploration.